The opening video this morning was another series of images, this time Polish Jews right before World War II. I set up the lecture today as a series of questions. 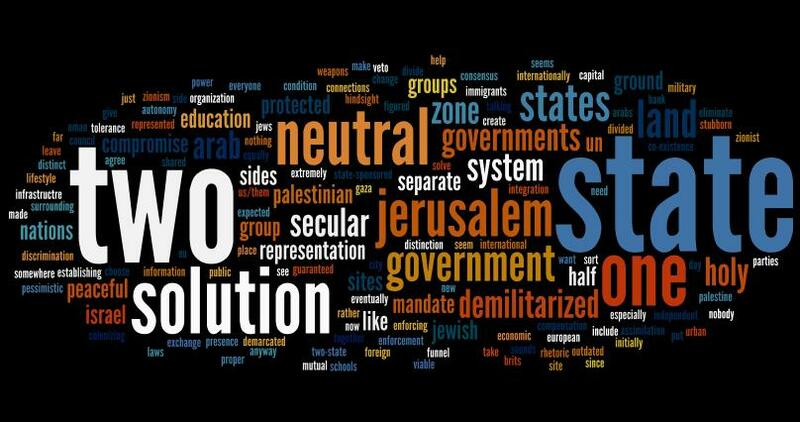 We began with a review of the new state system In the Middle East, the mandates and Zionism. 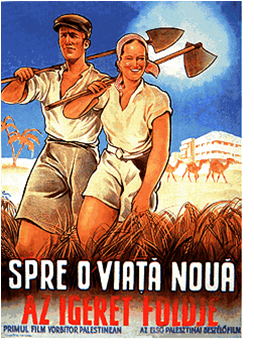 I showed them a Romanian movie poster about immigration to Palestine that portrayed the New Jew as a European peasant. The first question: What about those people already living in Palestine? The Israeli Foreign Ministry explained, “At that time in the late 19th century, Arab nationalism did not yet exist in any form, and the Arab population of Palestine was sparse and apolitical.” In the context of European nationalism, those who were nations deserved states; those without a national identity did not merit the territory on which they lived. But how were the new immigrants to survive? Israel’s first president David Ben Gurion wrote in his memoirs about how difficult it had been to find work, since local workers knew the jobs and the employers and didn’t expect as much pay as new immigrants. The response: all land purchased by Jews could hire only Jewish labor. How did the non-immigrants respond? The violence of the 1920s and 1930s has to be seen in the broader context of anti-colonial struggle, I argued. Much of it resembled the anti-colonial risings against France in the Syrian mandate areas, and against Great Britain in Iraq. In the case of British mandatory Palestine, the immigrating Zionists seemed to add yet another layer of foreign control. I reviewed the continuing struggles of the British to limit–then open–then limit Jewish immigration; to recognize–then suppress–then recognize Arab governance; to define–then redefine–“economic absorptive capacity” as a way of analyzing the number of potential immigrants. When London finally decided (in 1936) that the promises to each group could not be reconciled in a single state, they proposed dividing the land, only to find that both groups rejected the partition. What were the options? I offered them the range of Zionist solutions, from Hebrew University President Judah Magnes’ call for a single binational state that would include Arabs and Jews, to Vladimir Jabotinsky’s insistence that only an “iron wall” could convince the local population to allow the creation of an exclusively Jewish state. 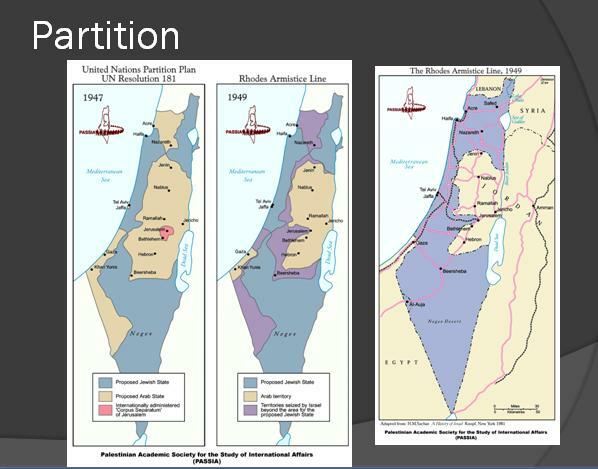 As today, though, most Zionists fell in the middle, by 1947 agreeing to partition, a two-state solution. The holocaust and the huge numbers of Jews in displacement camps lent urgency to growing demands for a Jewish state. As the clock wound down, I showed them the maps: partition and armistice. We begin next week with the 700,000 refugees that resulted and the consequences of Israel’s 1948 creation on the people and politics of the region. This entry was posted in Great Britain, Israel, Palestinians, Zionism by Sarah Shields. Bookmark the permalink.